•Story of the day: Marketplace asks why subways in the United States are so expensive to build. The nine-mile Purple Line Extension to Westwood, for example, has a budget of $9.4 billion. That, as Tony Soprano might say, is a lot of boxes of ziti — but it’s not out of whack with other recent subway projects in the U.S. Transit experts like Levy and Gordon have suspicions about what could truly be driving U.S. costs above other nations. Neither of them is the first to note that any given project may require a tangle of local, state and federal agencies to sign off on it, or fund it, potentially creating excessive bureaucracy. Due to the objections of a few vocal constituents, individual local officials or lawmakers may also have more power to impede a project or change its course. The bidding or planning processes typically used by U.S. cities may contain flaws that other countries don’t have — for instance, a reliance on formulas that award the lowest-bidding contractor the work, even if that contractor has a history of coming in over budget, ultimately. Where other countries generally build smaller subway stations, where riders walk down directly to the track level, subways in the U.S. almost always include huge, multi-level stations with mezzanines. But those are just theories/suspicions. Readers: have any theories of your own? Comment please. One tiny thought: it’s totally fair, of course, to compare subway costs around the world and ask about the differences. No objections with that. That said, I do think it’s also fair to point out that the Purp Line is hardly the only piece of pricey public infrastructure. Here’s a Scientific American article about a $14 billion upgrade to New Orleans’ levees — and the levees are sinking. The F-35 fighter jet can cost $80 million to $100 million per plane, so says the NYT. Widening the 5 freeway between the 605 and The OC line? That’s $1.9 billion, according to Caltrans. The Mars Rover Curiosity mission? $2.5 billion, according to NASA. All these things may be worth every last cent. Bottom line: things ain’t cheap. Very related: check out our new video on the building of the Purple Line Extension. •The LAT article’s headline neatly sums up what the article is about: “O.C. tollway agency won’t renew contract with consultants who billed $185 an hour to read news.” Tollway Corridor officials told the LAT that the LAT is blowing the reading-the-news bit out of proportion and the consultants’ pay includes other tasks such as calling journalists to correct them. Not to be all judgey, but that might not be the best response. •Things to read whilst transiting: great article in the LAT about the tensions over finally providing public access to the beaches at Hollister Ranch in Santa Barbara. Will the beaches remain pristine? Or will the place get trashed once open to the public? Good story because both sides are well articulated. 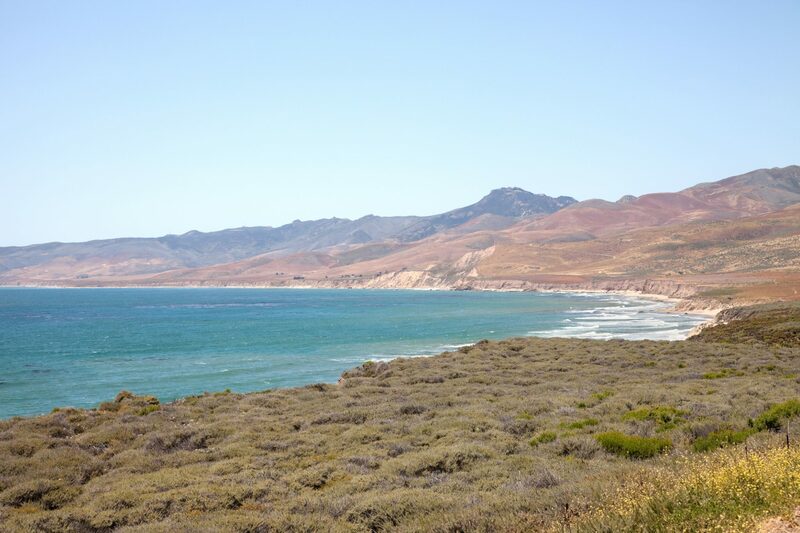 If you want to visit a remote Southern California beach, try going to Jalama Beach — it’s north of Hollister Beach and the public is welcome! Amtrak goes right above the beach but there’s no stop. Credit: Getty Images. No legislative mandate for cost savings (which means an expectation by contractors and the bodies awarding bids that every project will be 50% more per mile than the most recent previous project. Overlapping inefficiencies in multiple layers of bureaucratic approvals and various cost penalties associated with attendant fiefdoms and Territorial behaviors. Contractors believing they’re entitled to more much more and always getting it. Adam nails it. I would also add prevailing wage/local hire and other Metro/state/federal hiring policies that artificially increase the cost compared to a private employer. Additionally, Metro doesn’t seem to coordinate projects in ways that could increase efficiency. For example, the Purple Line extension is split into 3 phases (I understand why, for funding purposes it is), but in reality a lot of the services could be carried out simultaneously with better planning and reduce the cost. Instead, by dividing up literally every single service, you see a price increase. prevailing wage and local hire are so insignificant in overall costs it’s virtually a non factor. But it is super useful for the global mega corps to blame the construction workers for billions in cost overruns. If all the construction workers were millionaires, you would have evidence that they’re the problem. But most of them are paycheck to paycheck, even if they’re comfortably middle class, they’re not reaping the rewards of billions in cost overruns. Because where did the money go? to the billionaires. Take a look at a TBM. Even if it is over-staffed at 20 people per machine (range of salary probably $50-100/hr), and the crew earn on average $75 / hr working a 60 hr week (per a union 60 hr guaranteed contract), that is a labor cost per week of $105,000 for your 20 person crew. Or a $5.25 Million labor cost per year for a 20 person tunneling crew. Cut the tunneling salaries in half–as the global mega corps beg everyone to do–because obviously the billions in cost overruns are entirely accounted for in the 5 million dollar annual salary of a tunneling crew–and you will have saved 2 million out of cost overruns that measure billions. Those two numbers don’t add up. And will that 2 million actually be saved for the public’s benefit? It will absolutely not be, the global mega corp contractor will find that they can dole out 2 million in bonuses to various executive caste persons and board members, literally robbing the poor to give to the rich. So nope, it’s not labor costs, it simply does not have the requisite scale to induce these levels of cost overruns. Prohibits the Use of Cell Phone in Division Yards and Terminals, can and be used up to and including termination. This operator used up LA Metro’s Time for his own pleasure to use Codes on the Keypad for his own use without proper clearance from management. This operator should be checked to see if he claimed Overtime which can be issued as another violation. Great insights, Adam. I agree with everything but it was your last comment that has always just perplexed me. Some of the Red Line stations are just ridiculous on the inside. Thousands of square feet of unused space and cavernous ceilings. Sure we want to get away from claustrophobic stations of the past but I think we went a little overboard. The Union Station Red Line station is about five times as large as it needs to be and is not convenient to get to. Then we wipe out a quarter of a square block of prime real estate so that we can construct homeless encampments at street level for most of the other stations. Brilliant. Always fun to run the gauntlet to get to the station entrance. Every MTA planning meeting I’ve gone to has had multiple members of the public ask about this and no one has ever given an answer. And we keep doing it! The Purple Line extension has some of the most valuable real estate in the city turned into pedestrian malls/depressingly tiled meeting areas. You could throw a music festival at the Fairfax station and the VA station – well I’ve actually seen people laugh out loud when they see the rendering. Now we know why there’s no money to get a Brentwood/Sawtelle station that would have heavy ridership. It looks like it was built to serve an airport, not the subway station that will have the least amount of ridership by far. You know, we can at least lease out the open space right before the TVMs to anyone willing to open up shop. Dunkin Donuts and Startbucks got it right by setting up shop right by the entrances of 7th/Metro. Just saying, we can do the same with some of the other busy stations, especially transfer stations. Seriously look into this Metro, especially if you really want to have a “world class” transit system. Guess what? World class systems have convenience stores in their busy stations as basic Amenities. This right here. Hong Kong uses theil mezzanines for retail. They sell everything from drinks, newspapers, pastries, gifts, on and on. Hollywood and Vine, Vermont/Santa Monica, Vermont/Sunset have long, wide hall ways that can fit well sized booths for retail. Shoot, dig the walls back 20 feet and you can have full scale retail stores that Metro can use to generate rent income. This is how Hong Kong MTR is profitable too. Transit infrastructure costs in this country are definitely obscene compared with the rest of the world and so metro is hardly unique in high costs. The new LIRR access to Grand Central project in New York is supposed to end up costing over 11 billion dollars for example. The 2nd ave. subway phase 1 was no cheap project either. Metro should still try to buck this trend by not designing such massive subway stations and rather emulate the more streamlined European approach as others have mentioned. Additionally, more stations need to be built like 7th street / metro center with its entrances properly integrated into buildings rather than just create a large empty space or plaza with an entrance in the middle and requiring the demolition of whatever was there before like with Soto station, most of the red line stations i.e. Vermont / Beverly, North Hollywood, Universal city etc. and with almost every upcoming purple line station. To this day, most station “plazas” remain in this open, undeveloped state; no new buildings over them. Obviously if the former lot was just a parking lot, this isn’t really a problem, but when there are buildings with businesses there, then seriously whats the deal? Does Wilshire / Rodeo for example seriously require demolishing the entire Ace Gallery building just to fit an entrance in what could simply occupy the 1st floor opening in front for its parking lot, or any other small space? This kind of stuff happens all the time and people have been complaining about this design forever. Metro seems to have no answer as to their insistence (and to be fair, some other transit agencies) on doing things this way, especially when there is a precedent for doing it properly on many systems around the world, as well as with legacy systems in the US, as well as one of metro’s own stations; 7th street metro center.